The community family event was wonderful. Two young gentlemen were the team leading the events at our school. Their Aussie accents and phrases enthrall the children. Through the games, and activities they teach children in a fun way about movement, mechanics of motion, self-awareness and self-regulation. The Circus themed events and games were engaging for children from preschool through to grade 8 and all the adults who attended were having a blast also. The mix of individual, paired and whole group activities made the event inclusive and entertaining. The I Can, You Can, We Can affirmation that is repeated in various exercises throughout the time became central to the teaching and to the learning. Taking a breath in and bring up one are, a second breath in and the other to form an X across the chest and then a long double breath out helps balance and center. I have seen my children do this a number of times in the weeks since the event. The exercises, games and activities will help develop balance, core strength, and strength all while teaching self-control. And with each of the three area's ends with a reflection to help take the learning deeper. Overall our evening was awesome! And the kids found the day events at school incredible, in fact they keep asking if it can be bought on disk and done at home. All three kids and I learned a lot and are applying the lessons. The only real pity was how few people came to the community event, I think it was a highlight for my kids and some of the others we knew who were there. 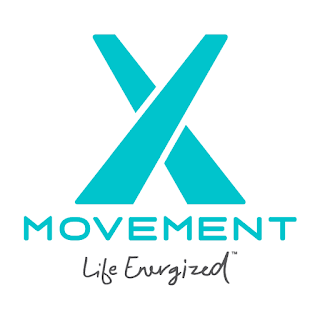 If you get the chance to attend or bring them to your school or organization do so I highly recommend X-Movement's programs and the work they do.